As everyone knows, us Geordies (well honorary Geordie in my case), love a bit of a tipple so when Leeds based drink brand Gloworm were thinking where to launch their new product, Newcastle immediately sprang to mind. So, feeling slightly naughty for being out after work on a Monday night, myself and fellow blogger Lisa found ourselves in Toon at one of my favourite cocktail bars, Floritas with the guys from Gloworm and a small group of other local bloggers to test out their offerings. 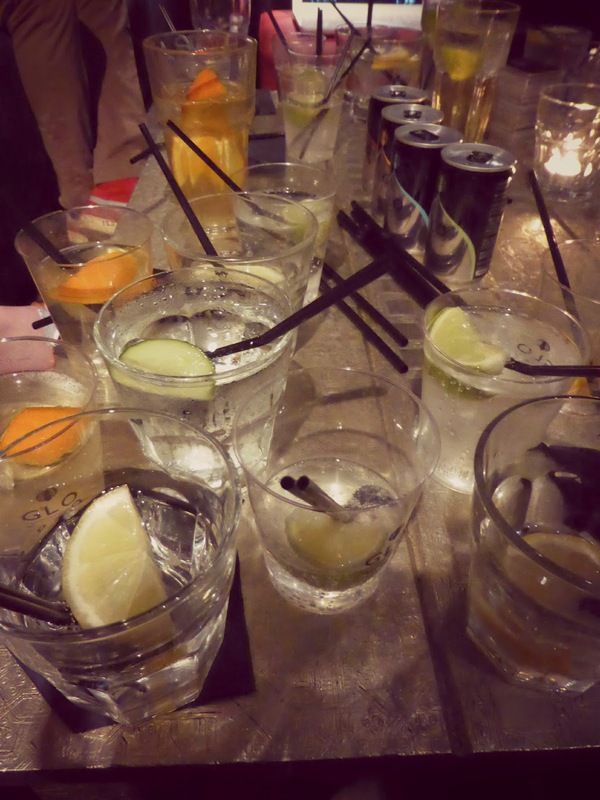 I think in the past we've all been guilty of over indulging in drink on a night out and if you guys are like me there are some drinks that you would never dream of tasting again as they remind you of a night with a less than happy ending (seabreeze and white wine are both on my no go list). As the years have rolled by and I've found myself in my 30s I've become more unsure of my tipple of choice, I don't want to re-visit my youth and am a little bored of sticking to the same old drinks. 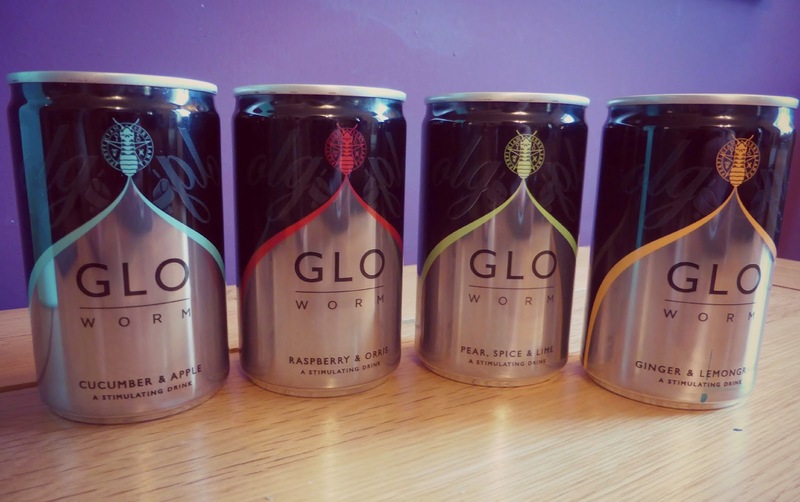 Gloworm have created mixers aimed at people like me who are looking for something new, refreshing, tasty and, dare I say it, sophisticated on the market. Those of us who have left our jaeger bomb days behind us and are trying to find a new signature drink that tastes delicious. Gloworm is a premium mixer available in four different flavours which come in a can containing the perfect serving. They're created to compliment not hide the taste of the alcohol that they are paired with. Unlike other energy drinks Gloworm is sugar free and contains less caffeine than Red Bull. "Vodkaglo" - made with Raspberry and Oris - beautifully fruity and sweet and mixes perfectly with Vodka. "Rumglo" - made with Pear, Spice and Lime -sweet pear and ginger flavour which is beautiful with Rum. "Ginglo" - made with Cucumber and Apple - really crisp and fresh, best served with Gin. "Bourbonglo" - made with Ginger and Lemongrass - a quirky mix of ginger, lemongrass and lime which tasted great with bourbon. We gave all of the different combinations a try and they were absoluetely delicious and I can definitely see myself ordering one next time I'm at the bar. My favourite was Rumglo and it was the first glass that I polished off. 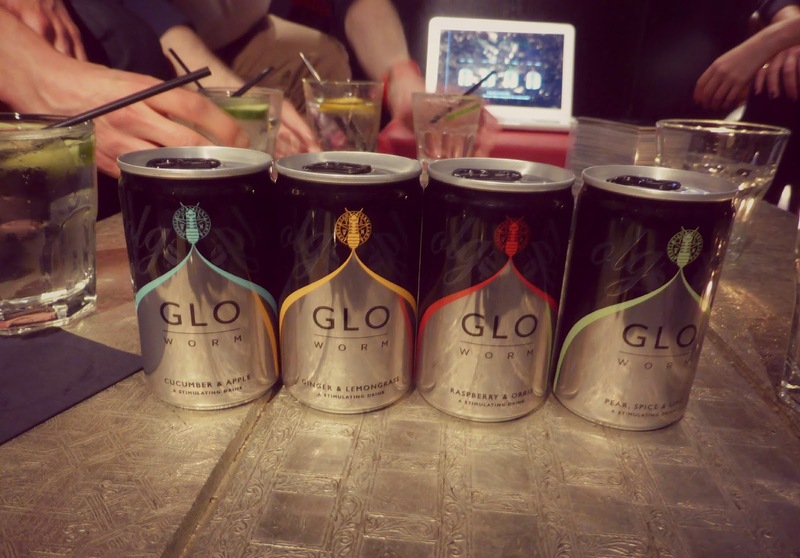 They are definitely drinks that make me feel Summery, and a great alternative to Pimms. Gloworm's mixologist Adam has been working hard to discover the perfect flavours to compliment Gloworm and has come up with some truly beautiful drinks and cocktail recipes that we were lucky enough to try. Now for the good bit, if you'd like to try Gloworm for yourself and live in the North East they are hosting a special night in Livello on Friday 25 April so make sure you get that into your diary. The drinks will also be available at all the Apartment Group bars in Newcastle from 25th. The launch will then carry on to Manchester, Edinburgh and Northern Ireland in early May before hopefully taking on the rest of the UK. Let me know if you give any of them a go! I was invited to Floritas by Gloworm to try out their drinks ... much free alcohol was consumed but all thoughts are my own ... Gloworm is delicious and I can't wait to see it appear in bars! Gin? Cucumber? Apple? I'm completely sold!! I know what you mean, I couldn't ever touch Archers and lemonade or Malibu and pineapple ever again...looks like you had a fantastic night and glad you enjoyed the drinks. 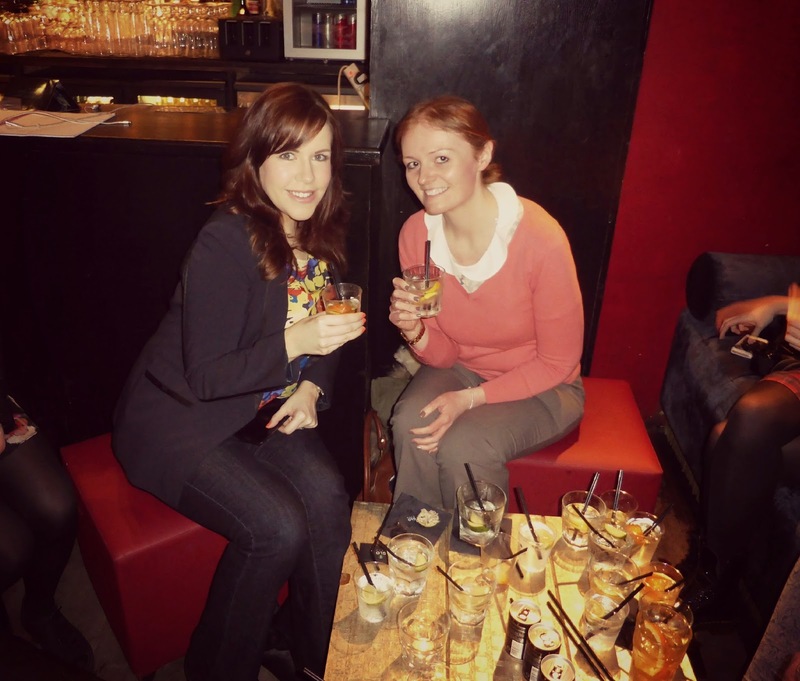 Where would we be without cocktails? Oh God! Yes Archers and Lemonade! I had quite a lot of that in my youth as well, and feeling so grown up whilst drinking it! These sound delicious! I never know what to drink these days. I always opt for wine or a cocktail because I am so bored of vodka, rum and gin, but these sound ideal. As for drinks I would never dream of tasting again archers and lemonade and blue WKD are top of my list!